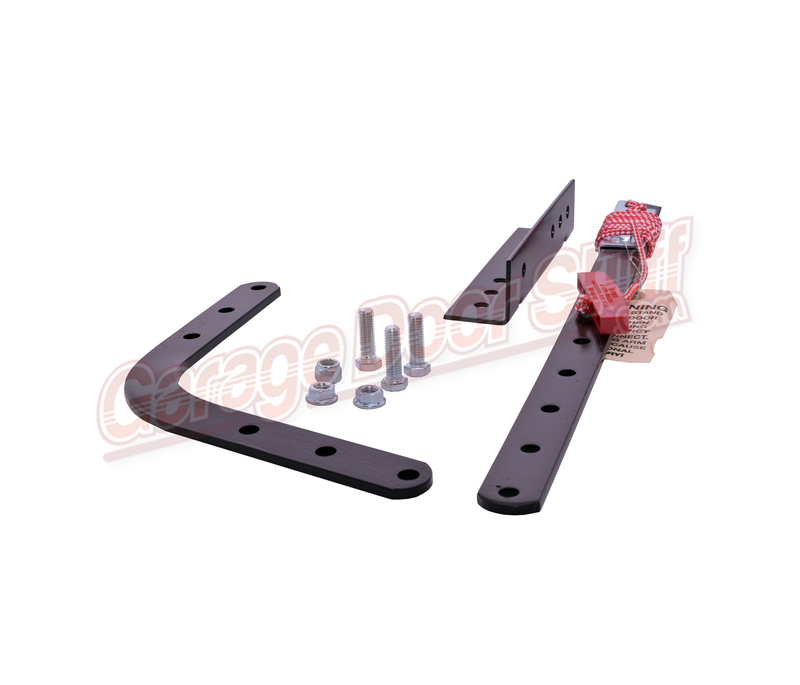 Liftmaster Part number – K75-12870. 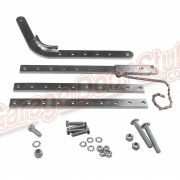 Complete kit, straight and curved arms, door bracket and hardware. 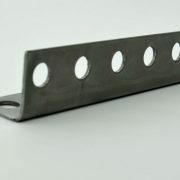 Heavy duty – 1/4″ Steel. Pre drilled for full adjustablity of the arm length. 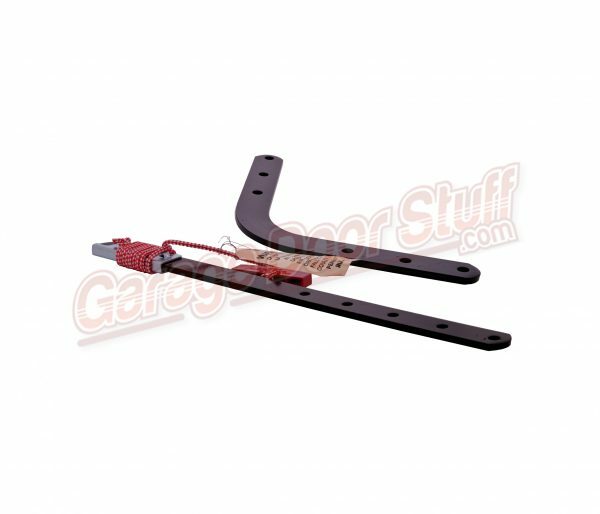 Typical to Liftmaster Commercial draw bar type garage door openers but universal to any commercial opener that utilizes a fix pin mounting type. 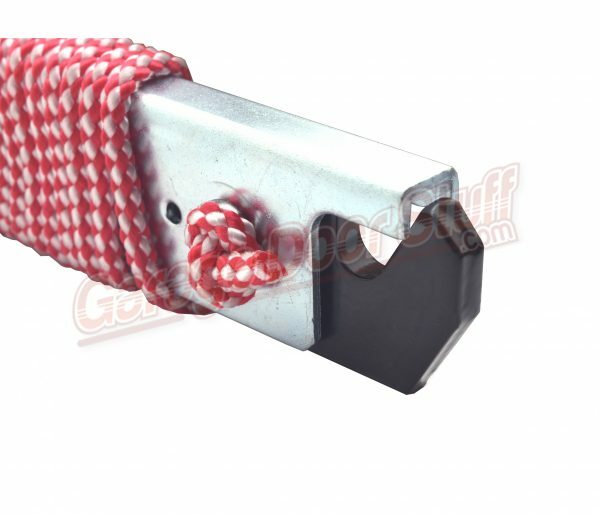 There is a spring loaded latch that is placed on the fixed pin on the garage door carriage. 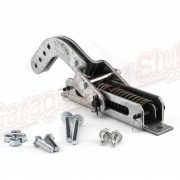 We carry several other types of garage door opener arms that also use this spring latching type system. 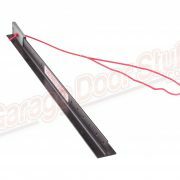 We also carry other types and style of garage door opener arms. 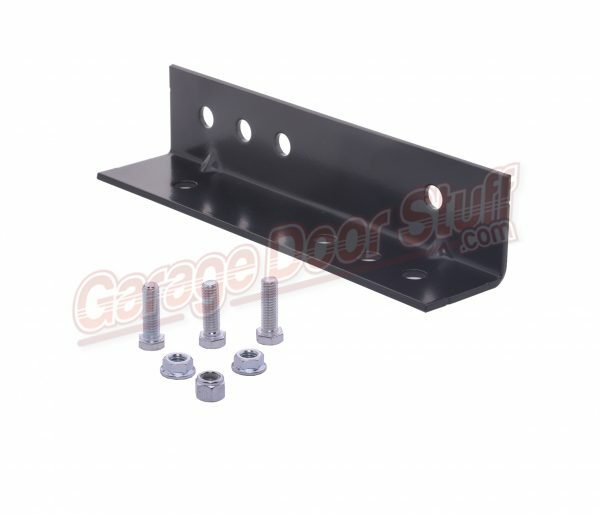 Also located in the same area of our web site as the arms in the link above, you will find several garage door mounting bracket options. 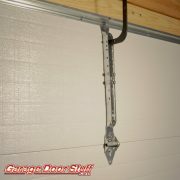 It is a must that the garage door opener is properly attached to the garage door. There is a lot of stress and pressure at the point where the garage door opener connects to the garage door and the correct mounting bracket can prevent excessive stress on the opener and also prevent damage to the garage door. Also consider a bi annual lube and adjust of both the garage door and the garage door opener. keeping the door properly balanced and lubricated is a must. 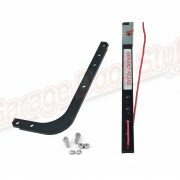 You should disconnect the garage door opener from the garage door several times a year and operate the door by hand to insure it is working properly and smoothly. Running the door by hand will allow you to sense and locate any issues with the door. It is also advisable to lubricate and adjust the garage door opener twice a year as well. A Spring and Fall system works great. A little bit of normal, routine maintenance will go a long way in preventing system or part failure and keep the wear to a minimum.